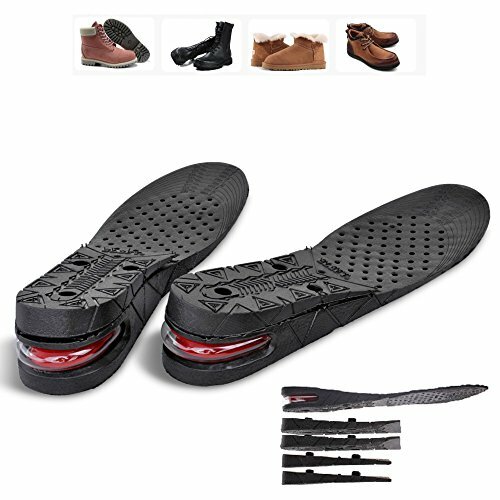 7CM/ 2.8INCHES is the ideal insoles height for your shoes, anything taller than 7cm will make your shoes/boot too tight and uncomfortable to walk in, profile view of your shoes will be very bulky AND unnatural. These insoles will require your shoes to be high tops (for e.g. high top converse shoes), ideal for boots. With these insoles you can feel TALLER and more CONFIDENT almost instantly!